While the whole world was waiting for Call of Duty: Ghosts and new add-ons for Black Ops 2, the developers released a brand-new mobile game in Call of Duty universe. Today Call of Duty: Strike Team has hit the stores and, in our opinion, it looks really cool. 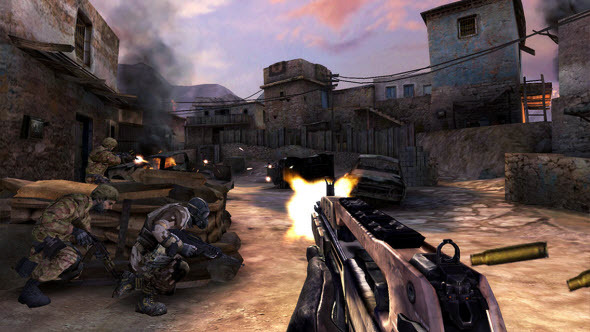 Call of Duty: Strike Team was developed for mobile iOS devices. Here you will be playing a role of squad commander that fights against an unknown enemy of USA. The most interesting thing connected with this project is that here you will get not only the usual first-person shooter, but also an interesting tactical game. You will be able to switch between intensive shooter and top-down strategy by pushing only one button and so will wisely coordinate your attacks. Call of Duty: Strike Team has two modes. In the first one called Campaign Mode you will get massive single-player mission full of epic battles on various locations. In the second one - Survival Mode - you will be trying not to die repelling various attacks of professional and really difficult opponents. Also in Call of Duty: Strike Team you will be able to compete with your friends and put your name on the top of the leaderboard. 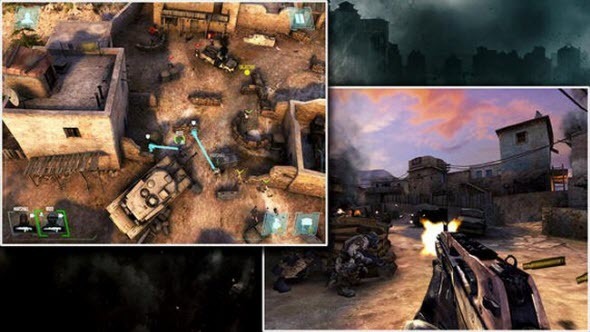 Call of Duty: Strike Team was released only for iOS devices, but the developers are promising to make the versions for Android and Kindle Fire. Whether there will be a game for Windows Phone remains unknown now. And to see this interesting project in action, you can watch the official launch trailer that appeared on the developers' channel yesterday.